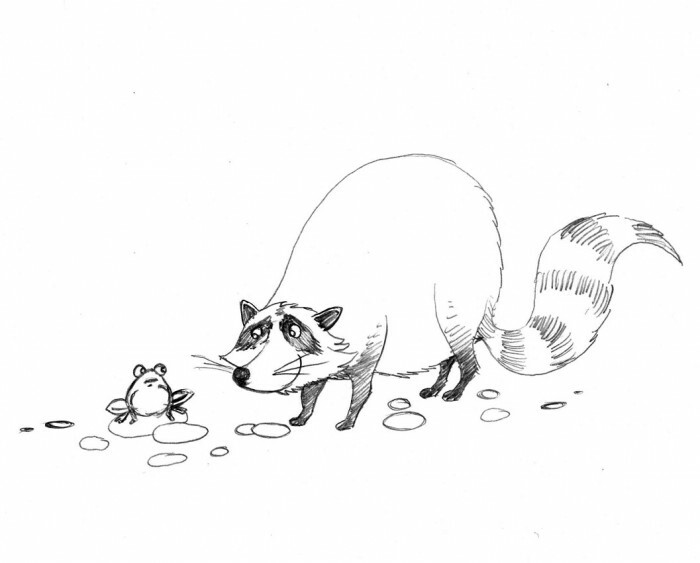 The first image I completed for my portfolio is this raccoon and frog. Is the raccoon stalking the frog or just being friendly? The frog isn’t sure. The first project my mentor gave me was to look at the portfolios of hundreds of illustrators on several illustrator advertising websites. The point was to look at the various styles of currently working illustrator and decide what I liked and what I didn’t. Through this exercise I discovered that I really like watercolor illustrations more than any other medium. Second would be illustrations colored with the computer. The illustrators I liked the most were Brian Ajhar and Peter de Sève. If you look at them both, their watercoloring and drawing styles are very similar. Their artwork tends to look like watercolors on top of pencil drawings, with very complex colors created by many layers of various watercolor washes. Travis was able to show me a bit about their watercoloring process, which I then tried to apply to this raccoon and frog. 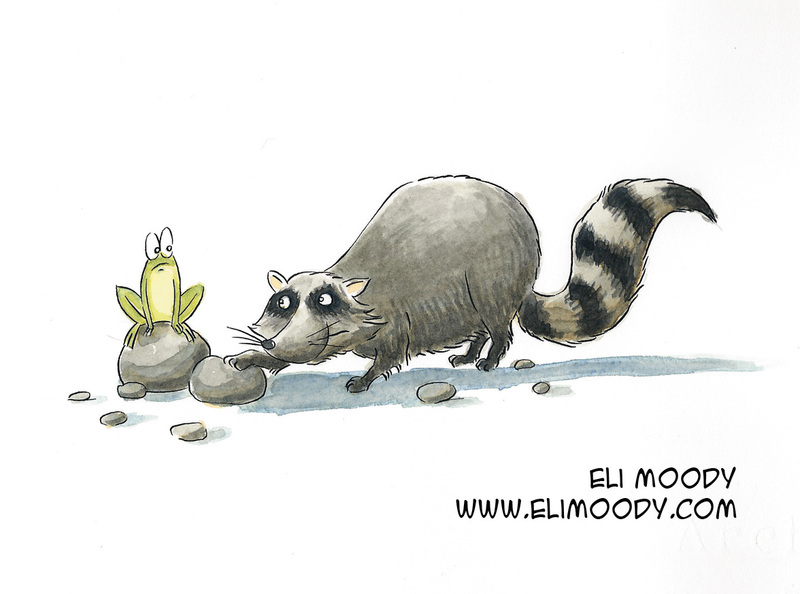 This entry was posted in illustration and tagged animals, eli moody, frog, illustration, pen and ink, pencils, raccoon, watercolor. Bookmark the permalink.